Israeli and world media have featured screaming headlines over the past few days that Turkey and Israel are about to resume diplomatic relations broken off after Israeli naval commandos murdered 10 Turkish citizens on the Mavi Marmara in 2010 (including one U.S. citizen). The freeze between the two countries cut off Israeli trade and military coöperation with one of the largest and most influential Muslim nations in the region. Prior to the massacre, Turkey and Israel’s militaries conducted joint military exercises, intelligence agencies freely shared information, and bilateral trade flourished. I should add that much of the ISIS oil pumped in Iraq ends up purchased by Israel via Turkish ports. So in this illicit trade, both appear allied. Since 2010, Turkey has had three key demands in order to resume ties: financial compensation to the victims, an Israeli apology, and lifting Israel’s siege of Gaza. As outlined in the press, Turkey will have two of those three conditions met. Israel will pay $20-million to the families of the victims. It has already apologized. But Israel adamantly refused to lift the siege. Instead of holding fast until his demands were met, Erdogan caved. Israel has only agreed to permit Turkey and Germany to build a new hospital in Gaza and to build a new sewage treatment and power plant there. Turkey will also be permitted to aid in reconstruction of the 20,000 homes destroyed in the 2014. But it will be forced to unload all shipments at the Israeli port of Ashdod. This is ironic because the entire purpose of the Mavi Marmara trip was to break the Israeli blockade. After Israel hijacked the ship and kidnapped the passengers it forced them to Ashdod, where Israeli authorities promptly stole millions of dollars worth of electronic equipment and personal belongings of the victims. Meaning that Turkey has acceded to the very conditions which the Mavi Marmara sought to end. A further dark irony of the Turkey-Israel agreement is that as soon as the next war between Israel and Gaza breaks out, these Turkish projects will be among the first Israel will destroy. Just as it did during Operation Protective Edge when it destroyed every government building, the Islamic University and infrastructure like power and sewage plants. In an earlier conflict it destroyed a nascent project to rebuild the Gaza seaport funded by the Dutch and French. So what exactly has Turkey won and Gaza lost? 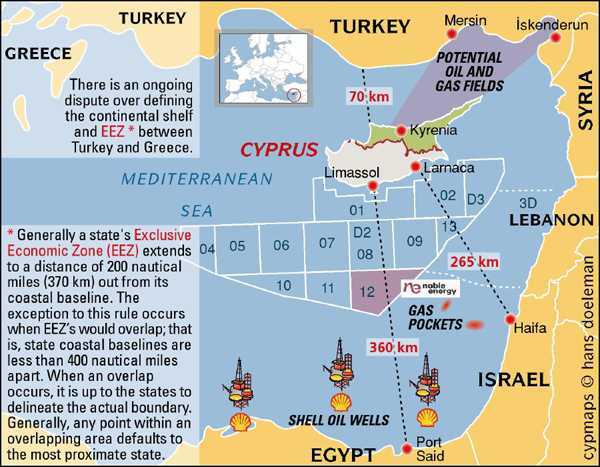 Most importantly for Turkey, Israel plans to extract massive amounts of oil and gas off its seacoast from the Mediterranean. A number of nations and militant groups dispute Israel’s plans. Both Gaza and Lebanon claim portions of these fields are in their territory. Hezbollah, no doubt, looks forward to attempting to sabotage any resource production off the Lebanese coast. Israel is hard at work attempting to ensure the security of these new oil platforms. When Turkey was out of the picture, Israel negotiated with Cyprus and Greece to ship its product to Europe. But Turkey, with its powerful military forces, was a wildcard. Now, with Turkey back on the team, Israel not only has one less enemy to worry about, it could conceivably receive assistance from the Turkish military in protecting the facilities. What’s in it for Turkey? A significant portion of the likely $2-billion cost of the project along with a percentage of the tens of billion in revenue generated by transshipment through Turkish territory. You can easily see when faced with a choice between loyalty to Gaza and a financial bonanza, which outcome Erdogan preferred. Israel’s new Mossad chief, Yossi Cohen, was reported to have made a secret visit to Turkey in recent days. Though Israeli media says he went to ask Turkey to shut down Hamas activities inside the country, Turkish media said he came to discuss oil. Haaretz reports that Turkey agreed to shut down all military activities of Hamas on its soil (I’d only heard Israel claim once during this period that a Hamas operative planned a terror attack from Turkey). Hamas political activity will continue there. Though both oil and Hamas may’ve been subjects on the table, my guess is that Cohen came primarily with barrels of oil and dollar signs flickering in his eyes. Though this subject hasn’t been mentioned in the media, Israel and Turkey also have common interests in Syria, where the Muslim nation supports Sunni rebels (some say ISIS itself) fighting the Assad regime on the northern front; and Israel supports al-Nura rebels on the southern front. What form such cooperation may take isn’t clear. But you can be sure that both will be exploring their options. Israeli media also report another visitor to Turkey’s Ottoman-style presidential palace: Hamas chief, Khaled Meshal. This visit can’t be a happy one for the Hamas leader. He’ll essentially be told by Erdogan that Turkey’s commitment to Gaza has evaporated. Hamas will have little or nothing to show for it. And all Erdogan’s bluster over the past few years about how he remained steadfast for Gaza in the face of Israeli barbarity–all that will be for naught. The two groups shut out of the benefits of the oil-gas revenue are Gazans and Israelis. You read that right. Oh, a few Israeli oligarchs, IDF ex-generals and intelligence chiefs who transformed themselves into consultants will reap almost all the billions. Bibi and the Likud will take some of the spoils as well. But the average Israeli? Not a hope in hell that this will benefit him or her. Remember that Israel is the poorest of 32 OECD countries and has the fifth most striated economy. It has 18 families which own 60% of the country’s corporate equity. There will be no trickle-down benefit to the poor in Israel. So if you’re counting winners and losers, the result is a given.